Watch two of the game's elite defenders shut down two players at once, a clever pick-and-roll variation, and a key to transition defense. Feature Film is back for the 2018-19 season! 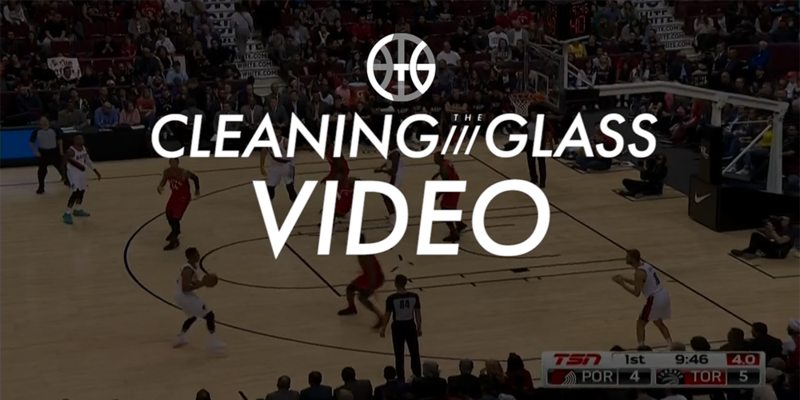 If you’re new to Cleaning the Glass, Feature Film is a regular article where I highlight a few interesting pieces of film from recent games. One of the biggest misconceptions about NBA defense is that on-ball defense is particularly important. There is an increasingly sophisticated understanding amongst fans that defense is a team enterprise, and yet we still develop stats and discuss individuals’ defensive prowess based on how the defender’s man performed. Sure, NBA teams almost exclusively play man-to-man defense, but that name conveys only each defender’s starting point. Modern offenses no longer rely on one-on-one, matchup-based schemes, instead layering in a series of screening actions (whether on or off the ball) and movement that forces their opponents to help each other. Once the defense has been bent by a screen, only timely and proper help keeps it from being broken.